LinkedIn, which is a pretty popular Social networking website, is now finally available on the iPad as the official app has made its way to the tablet. The application not only helps in social networking, but it also aims at helping professionals to be better prepared and empowered to make smarter business decisions wherever they may be working. About 22% of LinkedIn traffic comes from mobile devices, so it is pretty much clear why a specific app for the iPad was required. 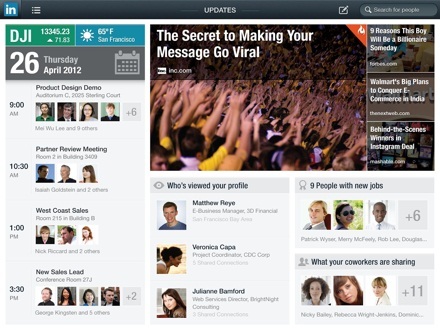 The app is already available for the iPhone/iPod touch, and now the LinkedIn iPad experience has been built and designed taking into account the unique and specific ways that professionals use their iPads, to provide its users with a proper app tailor made for the tablet. 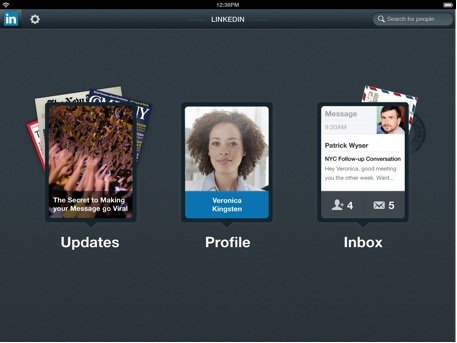 The LinkedIn iPad application is free and available immediately for members to download on their iPads from here.